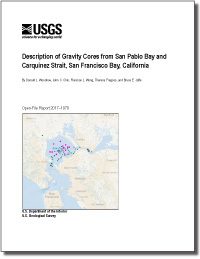 Foxgrover, Amy C.; Finlayson, David P.; Jaffe, Bruce E.; Fregoso, Theresa A.
Foxgrover, A.C., Finlayson, D.P., Jaffe, B.E., and Fregoso, T.A., 2018, Bathymetry and Digital Elevation Models of Coyote Creek and Alviso Slough, South San Francisco Bay, California (ver. 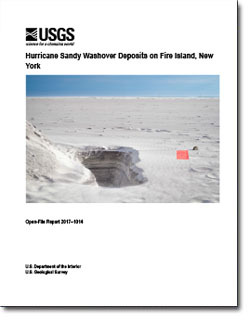 4.0, March, 2018): U.S. Geological Survey Open-File Report 2011-1315, 24 p., https://doi.org/10.3133/ofr20111315. Achete, Fernanda; Van der Wegen, Mick; Roelvink, Jan Adriaan; Jaffe, Bruce E.
Woodrow, Donald L.; John L. Chin; Wong, Florence L.; Fregoso, Theresa A.; Jaffe, Bruce E.
Woodrow, D.L., Chin, J.L., Wong, F.L., Fregoso, Theresa, Jaffe, B.E., 2017, Description of gravity cores from San Pablo Bay and Carquinez Strait, San Francisco Bay, California: U.S. Geological Survey Open-File Report 2017–1078, 14 p., https://doi.org/10.3133/ofr20171078. Fregoso, Theresa A.; Wang, Rueen-Fang; Ateljevich, Eli; Jaffe, Bruce E.
Fregoso, Theresa; Wang, Rueen-Fang; Ateljevich, Eli; Jaffe, Bruce E.
Fregoso, T.A., Wang, F., Alteljevich, E.and Jaffe. 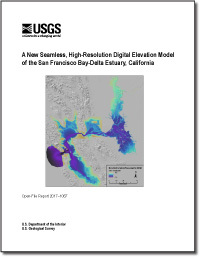 B.E., San Francisco Bay Delta Bathymetric/Topographic 10-meter DEM: USGS, http://dx.doi.org/10.5066/F7GH9G27.